Watching a loved one age is a difficult experience. As daily activities become more challenging, your family member may need additional help to continue living at home. Home care is one of the ways you can provide assistance with daily needs such as meal planning and preparation, transportation, medication management, mobility assistance, dressing and bathing, and other activities that present challenges. It’s one of the best options for helping your family member maintain as much independence as possible while prioritizing their health and safety. One of the greatest concerns many families face when considering home care is the associated cost. It’s reassuring to know that you have options available to help pay for home care and that helping your loved one remain at home as long as possible may contribute to better long-term quality of life and well-being. There are several ways you can creatively manage the costs of home care as you create a care plan for your mom or dad. Family members can share care responsibilities as much as possible, with a professional home caregiver coming in only when family members are unavailable. 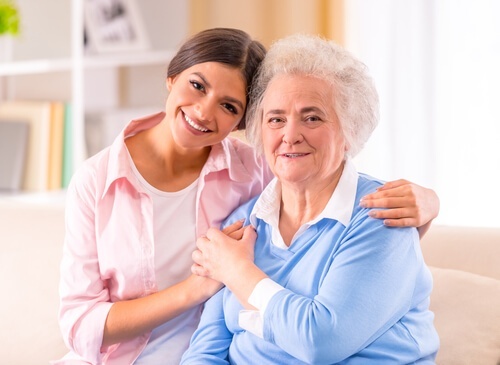 Families can also consider asking a family member to act as the primary caregiver, while supplementing with brief periods of respite care as needed. If your loved one has mobility challenges, consider making home modifications such as handrails, grab bars, and modified toilets and showers to reduce the amount of assistance needed. Concerns about paying for home care understandably are a high priority as families consider their options. The good news is that there are resources available to you based on your family’s unique circumstances. Let’s take a look at some of the ways you can make financial plans for your loved one’s care. Medicaid—Medicaid evaluates an individual’s circumstances, financial assets, income, and other information to determine whether that person qualifies for benefits. It is a joint federal and state program designed to help people with low income pay for health care services, including home-based long-term care. Veterans’ Benefits—Veterans and their spouses may be eligible to receive benefits from the Veteran Aid and Attendance Pension. To qualify, they must have the recommendation of a doctor. Tax Credits—There are tax credits available to help reduce the overall cost of home care by lowering an individual’s tax burden. A tax professional can help you determine which ones your family member may benefit from. Unfortunately, Ohio does not have many direct financial aid programs other than Medicaid. However, the Golden Buckeye Program provides discounts to seniors on many different services, including prescriptions. This is a good option for reducing overall expenses so more funds can be used for home care. 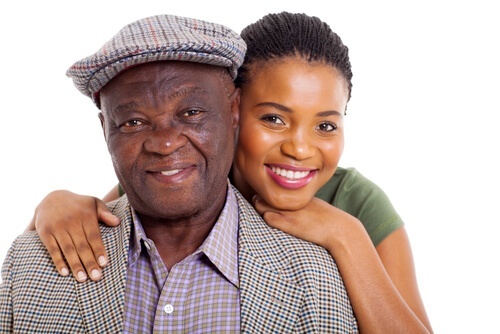 Long-Term Care Insurance—If you are planning for your mom or dad’s care before they need it, you may be able to purchase a long-term care insurance policy. These policies cover a variety of long-term care needs, including home care and respite care, but they must be purchased while your family member is still in good health. Asset Conversion—Reverse mortgages, home equity lines of credit and other asset conversion options can help you utilize the equity in your mom or dad’s home to help cover the cost of home care. Annuity Loan—If your family member is an annuity holder, you may be able to borrow against the cash value of the contract without cashing out the annuity. If you’re ready to research further, we encourage you to download our FREE Ways to Pay for Home Care guide. We’ve put together a list of resources you can use to better understand your options as well as some answers to questions you may have about the process.